What f/stop will your flash give you through an umbrella at ISO 100 on 1/4 power at ten feet? Guide numbers are basic, core, old-school flash photography knowledge. And I can all but hear the old-timers rolling their eyes and saying, "Gee, Dave, whaddya gonna tell us about next, bounce flash?" But we have gotten so far from this kind of thinking, what with TTL everything, eTTL and CLS, that many people have never had occasion to think about guide numbers. Which is a shame, really, because a working knowledge of guide numbers (GN) can do something very cool: Get your exposures in the ballpark on the very first test shot. Find out how helpful -- and easy -- using GN is after the jump. Okay, let's start with the definition. 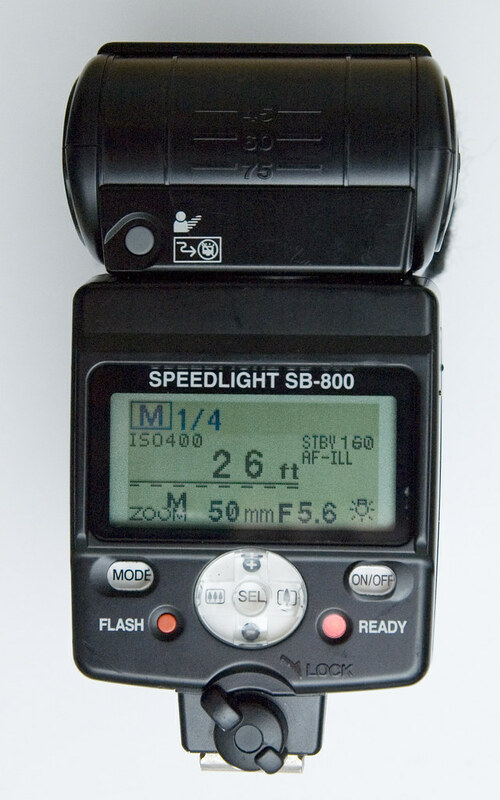 The guide number of a flash is the product of the f/stop of the exposure at a given distance at ISO 100. Wikipedia has a whole page on it here. But that's all pretty math-centered and kinda inverse-squarish. And you really do not need to know that stuff to use GN to zero in on a first exposure. Here's how to use it. On just about any hot-shoe strobe capable of manual, there's a guide number calculator built in. The photo up top is from a Vivitar 285HV, which is a 70's-design manual-capable flash. Let's use this as an example. The four variables are: F/stop, distance, power and ISO. You plug in any three, and the calculator spits out the fourth. For instance, click here to open the 285 GN dial in hi-res in a new window. 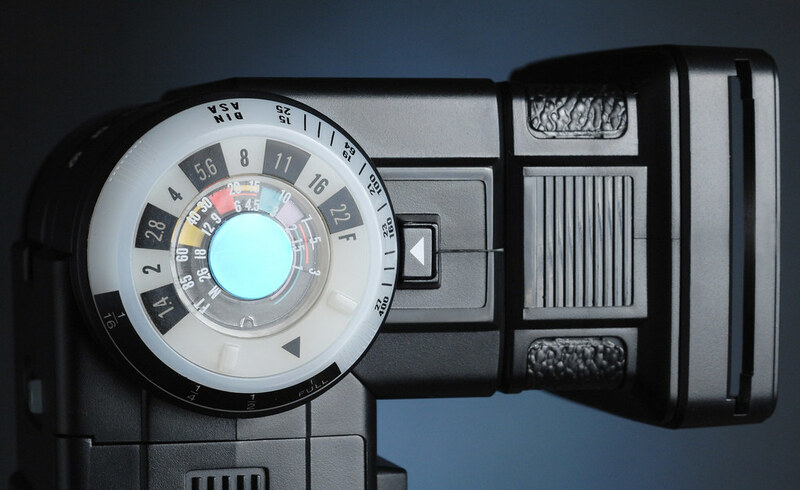 This GN calculator is set for full power manual at ISO 200. It is telling you that, at 30-40 feet, you would get about f/4 out of this flash. And if you set the flash to 1/2 power, you'd get f/2.8 out of it at that distance. Here's the cool thing: If you zoom the head -- even on this old-design flash -- it will move the dial and adjust the result. Here is an example of more modern guide number calculators. Click here to see it big in a separate window. This display (from an SB-800) is typical of modern GN calculators. Every flash is a little different, but they all work pretty much the same way. One thing to remember: The GN calculator display will only pop up if the flash is at it's direct flash setting, i.e., no bounce. This, for instance, is telling me that I will get f/5.6 at ISO 400 on 1/4 power at 26 feet at the 50mm zoom setting. Play around with your buttons a bit and you will see how yours works. What I like to do is to already know my ISO, my desired shooting aperture and an estimated flash-to-subject distance. Now, by setting up my GN calculator, I just dial in the different manual power settings until my desired f/stop lines up with my flash-to-subject distance. So, this is pretty cumbersome and slow and why should you even bother, right? Well, I'll tell you. The first five or six times you have to dial in your GN calculator and learn where you need to set your flash to get f/4 at, say 10 feet, you'll need the calculator to tell you. Then all of a sudden one day, you'll just know. And if you learn a good anchor point, like say 1/8 power at 50mm zoom, 13-foot distance at ISO 400 = f/8 (exactly what an SB-800 will do at those settings) you'll quickly start interpolating around that to suit your given situation. And then, you really do not even need your GN calculator to get close on the first test. "But wait," you say. "I'm a hot shot. I use snoots, grids, umbrellas and gels. Won't that screw it up?" Yeah, maybe. But consistently so. A snoot will be dead-on with the expected aperture in the center of the beam. Your grid spot might knock it down half a stop. Your shoot-through umbrella might knock it down two stops -- but the difference will be the same, every time. Once you learn how much your umbrella knocks your bare flash down, just adjust for that. Ditto for the gels. A typical full color conversion gel knocks about 2/3 of a stop off of your flash. If you are having trouble getting a handle on your early test pops -- you know, like getting first shots that are about 5 stops off -- this will zero you in real close, real fast. In fact, there is no faster way to save time on your first test pops than to learn to use your GN calculator. Until you don't need it any more. Then, you'll be faster yet.